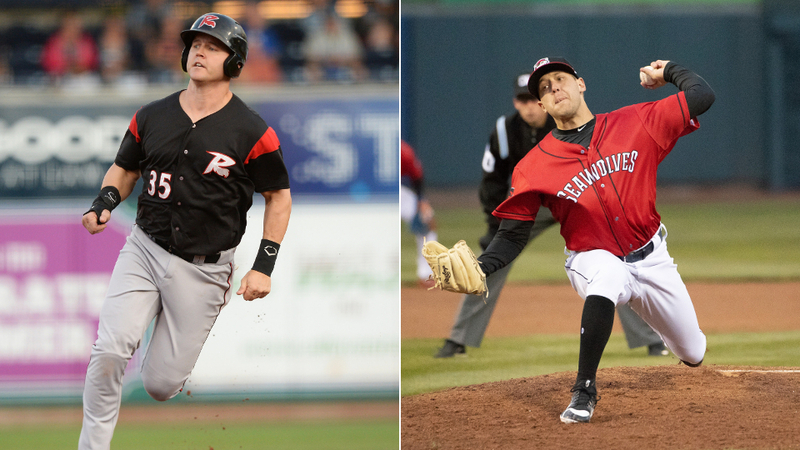 PORTLAND, ME - The Eastern League is pleased to announce the winners of the Eastern League Player of the Week Award and Eastern League Pitcher of the Week Award for the period of July 2nd through July 8th. Richmond Flying Squirrels first baseman Jerry Sands has been selected as the Eastern League Player of the Week for the period of July 2nd-July 8th. The 30-year old hit .429 (9-for-21) with five doubles, two home runs, five RBIs, six runs scored, two walks, and a .952 slugging percentage in six games last week. Sands, who is a native of Middletown, New York, reached base at least once in all six games he played in last week and had at least one extra-base hit in five of those games. That included a pair of games in which he came a triple shy of hitting for the cycle, going 3-for-5 with two RBIs in a 7-6 loss at Harrisburg on July 3rd and going 3-for-4 with two RBIs and two runs scored in a 6-2 win against Akron on Saturday night at The Diamond. The 6'4", 225 lb. slugger led all Eastern League hitters in extra-base hits (7), doubles (5), slugging percentage (.952), and OPS (1.431) last week. He also finished ranked among the weekly league leaders in total bases (20-2nd), home runs (2-tied 3rd), batting average (.429-5th), on-base percentage (.478-9th), and runs scored (6-tied 9th). Jerry was signed by the San Francisco Giants as a minor league free agent on June 3, 2017. He was originally drafted by the Los Angeles Dodgers in the 25th round of the 2008 draft. Matt Hall, a left-handed starting pitcher for the Erie SeaWolves, has been selected as the Eastern League Pitcher of the Week for the period of July 2nd-July 8th. The 6'0", 200 lb. hurler started a pair of games for the SeaWolves last week and had a record of 2-0 with 18 strikeouts and a 0.00 ERA. Hall, who is a native of Independence, Missouri, made his first start of the week on Monday against the visiting Bowie Baysox and pitched 6.1 shutout innings in Erie's 11-1 victory. He struck out eight batters and walked one while giving up just two hits to earn the win. Hall made his second appearance of the week on Saturday at Binghamton and pitched six shutout innings in Erie's 10-0 win. He scattered four hits while striking out 10 batters and walking one. With his performance last week Hall extended his scoreless innings streak to 21.1 innings, a streak that stretches back to June 19th. The 24-year old led all Eastern League pitchers in strikeouts (18) and tied for the lead in wins (2) and ERA (0.00). He also ranked among the weekly league leaders in innings pitched (12.1-tied 3rd), WHIP (0.65-4th), and batting average against (.146-6th). Matt, who is rated by MLB.com as the 23rd best prospect in the Detroit organization, was selected by the Detroit Tigers in the sixth round of the 2015 draft out of Missouri State.